THE UNEMPLOYED EATER: Yep, A "Farm To Table" Diner Coming to Santa Monica. Yep, A "Farm To Table" Diner Coming to Santa Monica. Are nouveau diners the next big thing? In September came news that Bucato Chef Evan Funke would be opening Thoroughbred in Culver City later and now it appears Santa Monica plans to get into bed with the post-retro diner movement as well. 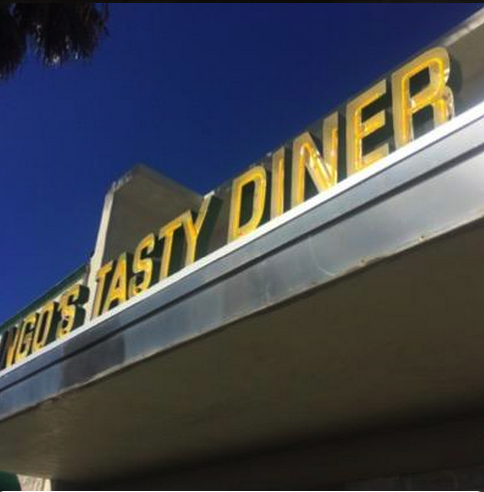 Ingo's Tasty Diner, a "farm-to-table diner," plans to open soon at 1213 Wilshire Blvd. in the Monica. Billed as a sister restaurant to the ever-popular and delicious Luggage Room Pizzeria in Pasadena, Ingo's is already hiring for all positions, front and back of the house. The new wave diner will also offer a full cocktail, beer and wine menu. Ingo's will be the second LGO Hospitality restaurant in the beachside community, joining Third Street Promenade's The Misfit. Although the exact details remain shrouded in mystery, Ingo's certainly seems like it will be a more than welcome addition to the mid-Santa Monica/Wilshire corridor. Sick of waiting in the endless Huckleberry brunch line? HERE'S ANOTHER BRUNCH LINE TO WAIT IN. Hallelujah.